This is a review of a new binary options scam called the “Million Dollar Challenge” or MDC. It is presented by William Stanford. Stanford says that he is the founder of the Stanford & Marcs trading group that created the Million Dollar Challenge. 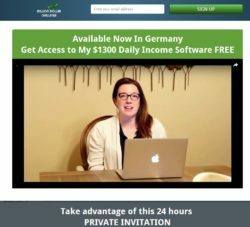 It is a software for trading binary options that allegedly is making $1,300 per day in average to each user. The Million Dollar Challenge is free, you just have to pay a 3% fee of your profits. 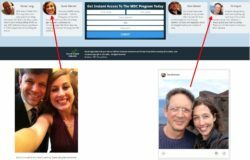 It works like this: Stanford is affiliated with a broker and will get paid for every new depositor he can refer to him. So he made up this story just to make you deposit and trade with his broker. 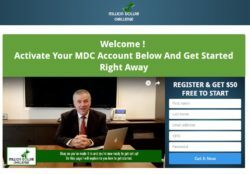 If you sign up and trade with the Million Dollar Challenge, you’ll lose your deposit. You will be risking and losing your money. The Stanford & Marcs trading group does not exist. If you do a search on Google, you’ll find this name in Million Dollar Challenge reviews only. By the way, the majority of them is fake and made by scammers who promote this scam with affiliate links. All the testimonials you can see in the Million Dollar Challenge videos and on the web site are fake. Videos were made with paid actors and photos were stolen from different web sites. Look at the picture on the right, here you have two examples of fake testimonials. The real names of these two persons are Rebecca Danielle Lindenbach and John McDonald. 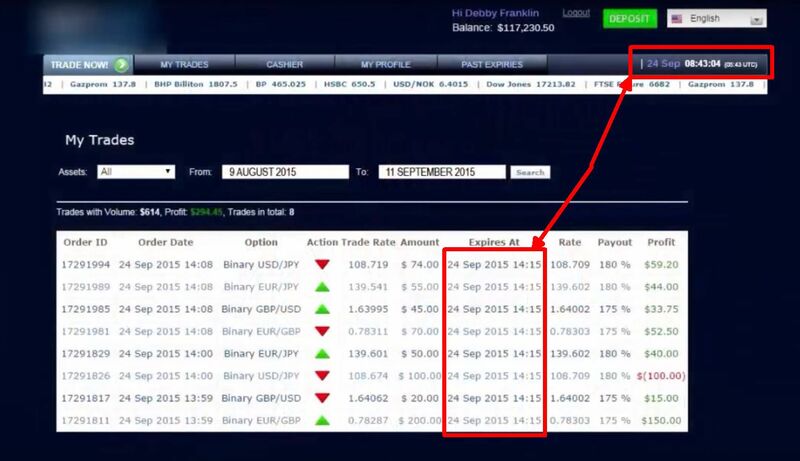 In the video you can see Debby Franklin showing her trading account, but the screenshot is an obvious fake. Look at the picture on the right, it is showing trades that were closed at 14:15, but the time is 8:43! So they faked the results and the balance, meanwhile they did not edit their image properly. The app itself is very well known to us, it is widely used by binary options scammers and it generates losses to its users. Recently we’ve seen it in the Neo2 scam for example. Scammers have altered the layout slightly, but it is the same app. And the allegedly live trade you see after you sign up is fake. The first thing you’ll have to do after signing up for the Million Dollar Challenge is to deposit at least $250. Otherwise you won’t be allowed to use the software. And you won’t get any free money from them. The only thing you can get is a deposit bonus from their broker, but before you meet the condition for a withdrawal, your money will be lost. The Million Dollar Challenge is just another scam trying to take your money through false promises and lies. If you want to see how money can really be made on binary options, try a free demo where you don’t risk anything. Then you’ll see if you want to work on a strategy or to do something else.